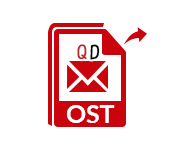 Batch OST Converter is the only one to make a nice selection towards conversion of OST files in group. You can perform the conversion into multiple formats as MSG, EML, PST and PDF format. Convert OST in batch into Outlook file format. No limitation for number of OST files. Also perform conversion of orphan OST files. OST Conversion is possible with or without installation of Windows Outlook. Provide option of Naming Convention during Exportation. Supports Windows 10 and all below versions. Free demo version of the tool will recover and preview only 25 items. To save recovered data, full version software is required. In case of migration of multiple OST files in group, Batch OST Migrator allows you to convert numerous Outlook offline data file in multiple file formats. There will not be any vulnerability of data loss during the process of conversion. After selecting multiple Outlook data files for conversion, that get listed with attributes like file name, size of file and path of file. This software allows you to remove the previously selected files. You need not to exit the software window. You can remove either a single Offline Outlook data file or all the files. In addition to conversion of various OST files to Outlook file format, Batch OST Migrator also facilitates with the migration of Offline Outlook data file to single mail file format. After getting over with the whole conversion process, You will come to know about specific feature of maintaining folder hierarchy without any alteration or any data trouble. After completion of the migration process, You can save the resulting file at desired location or you can make a new folder to save that file. You can save the output file directly from software window to a newly created folder. OST file is the offline storage of Outlook mailboxes. To make the users able for working offline, synchronizing the Outlook with Exchange Server is mandatory. Within all these factors there are some situations that leads to Offline Outlook data file Corruption. If you want to recover the data of corrupted outlook data files. In addition to OST file recovery, Batch OST Migrator enhances with migration of multiple OST files into various file formats. Is there any limitation on number of files to be converted? No, There is not any limitation on number of OST files. Is it mandatory to install Outlook to perform conversion? No, It is not mandatory to install Outlook to perform conversion. Does the tool migrate attachments of emails? Yes, the tool performs migration of OST file along with attachments, contacts, calendars etc. Is it compulsory to connect Outlook to Exchange Server for exportation? No, It is not required to connect Outlook to Exchange Server for exportation. I had a bundle of OST files, some of them were corrupted as well. I wanted to convert all my OST files into Outlook file format. Batch OST Converter did a great job for me. I was not aware with many technical facts related to OST and Exchange server. Thanks, for providing such a fabulous support team, assisted me at every step of the conversion process.